United Kingdom nationals do NOT need a visa to enter Costa Rica for tourism purposes and they can remain in the country for a maximum of 90 days. Not all people wishing to travel to Costa Rica need a tourist visa. This will depend on your nationality, purpose of visit, country of residence and length of your stay. Visa requirements or exceptions are based in international treaties or agreements. Moreover, a visa does not guarantee your entry to Costa Rica; like the United Kingdom, this depends on the immigration officer upon arrival. A passport valid for at least 3 months from the moment you enter Costa Rica. If you require a visa, your passport must be valid for 6 months from the moment of your entry. NOTE: Some airlines and migration authorities require a minimum passport validity of 6 months, based on dispositions of the International Civil Aviation Organization. Proof of transportation ticket as either a return ticket or to continue to a third country. Proof of sufficient monetary means to finance your tourist stay in the country. If you are a national of a country not mentioned in the two previous groups, then you DO need a visa to enter Costa Rica. Please call the office of the Embassy to the following number: 020 7629 3111. The individual applicant for a consular visa must personally present his/her physical documents directly to the Consulate. The counselors of the Costa Rican Consulate hold the direct authority to grant or deny the visa. A visa request letter addressed to the Costa Rican Consul containing the following details: Full name, passport number, country of residence, purpose of the trip, length of stay in Costa Rica, approximate place and date of entry and exit of the country, profession or trade, exact address in Costa Rica, date and place of birth of the applicant, fax number to receive notifications, date and signature. Passport or other travel document valid for at least six months, as well as a copy of the entire passport/travel document. Itinerary or tentative booking of round trip or continuation trip. Proof of sufficient monetary means to finance your stay in the country. Valid police records (certificate of delinquency). If this document is in another language, it must be translated to Spanish. The Consul might ask for additional documents to be issued in the country of origin of the applicant if they are fundamental for the analysis for the granting of the visa. Once all the required documents have been presented, the applicant must fill out the visa application form, which can be found in the website: www.migracion.go.cr. This document must be completed with legible and clear handwriting, without any markings or corrections. A restricted visa is an authorization for entry to Costa Rica that nationals from the following countries must obtain, according to the Entry Guidelines of the country. This authorization is under the exclusive purview of the Restricted Visas and Refugee Commission. 1. Send a visa request letter addressed to the Consul, written by the interested party, his/her relative resident in Costa Rica, or his/her representative, indicating his/her circumstances and his/her kinship relationship with the requested foreigner. The letter must also include the following regarding the foreigner applying for the visa. Costa Rican Consulate to which the visa authorization needs to be sent to, should the application be successful. 2. Copy of the legalized foreigner’s entire passport, with Consular authentication, and translated to Spanish. The passport must be valid for at least six months. 3. Copy of the identification document of the person requesting the foreigner. This document must be verified before an official of the Consulate or, if it is defected, an authenticated copy of said document. 4. Proof of economic solvency of the requesting party. 5. Proof of economic solvency and kinship of the requested foreigner. 6. Police records/Certificate of Delinquency from the country of origin of the requested foreigner, where it is clearly stated that he/she has not been convicted in his/her country of origin or in the one where she/he has lived for the last three years, for the crimes specified in article 61 of the Costa Rican Constitution. This document must be duly authenticated by the applicant’s Consulate, legalized, and translated to Spanish. 7. Certification issued by the competent authority of the country of origin of the requested foreigner that proves the relationship between the requesting and requested parties. 8. Single status certificate issued by the country of requested foreigner, legalized, authenticated by the Consulate, and translated to Spanish, for the cases where this document might be necessary. Birth certificate translated to Spanish with apostille. Police records/Certificate of Delinquency translated to Spanish with apostille. Original and copy of the entire passport or travel document. Please note that said document must be valid for at least six months. Acceptance letter to a public or private educational institution recognized in Costa Rica that confirms the applicant as a student, academic, volunteer or researcher. This document must also include period of time the applicant is expected to remain in the institution. Proof of sufficient monetary means to finance the applicant’s stay in the country. Three passport sized pictures with light gray background. Once the corresponding authorities have verified you fulfill all the requisites, the Consulate will issue a provisional visa for entry to Costa Rica, and the applicant will receive the documents he/she must present in the General Directorate of Migration and Aliens in Costa Rica to continue with the process of registering under the special category of student, academic, volunteer, or researcher. Original and copy of the entire passport or travel document. Please note that the document must be valid for at least six months. Proof by means of official documents that, for a period not shorter than two years, the applicant will receive a stable and permanent income of at least two thousand five hundred dollars (US$2,500.00) a month, currency of the United States of America or its equivalent to the Costa Rican colon based on the exchange rate established by the Central Bank of Costa Rica. If the income is received from abroad, the documents must have an apostille. Proof of payment of any required fees. Proof by means of official documents that he/she has been granted a lifelong pension with a monthly payment of at least one thousand dollars (US$1,000.00), currency of the United States of America or its equivalent to the Costa Rican colon based on the exchange rate established by the Central Bank of Costa Rica. If the documents are issued abroad, they must have an apostille. The translation of foreign documents to Spanish can be done through the services of official translators in the UK (in which case, the document must be translated before being apostilled) or in Costa Rica. The most important aspect is that the document is already translated with an apostille when presented at the General Directorate of Migration and Aliens. Certifications must be valid and have been issued no more than six months ago. If a person enters Costa Rica as a tourist and, during his/her legal stay, he/she presents a request of temporary residence directly to the General Directorate of Migration and Aliens, he/she will have to pay an additional fee of US$200 for the change in migration category. Costa Rican migration legislature considers working or studying permits as Special Categories. Special Categories have important subgroups to be aware of, based on the characteristics of the activities that the foreign person will carry on in Costa Rica. You will be able to travel to Costa Rica ten days after you have received the shot. Any individual travelling to Costa Rica who has been in transit through the countries in the list above, whether in airports, sea ports, or land borders, will be exempt from having to get the yellow fever vaccine. People who have been in countries at risk and that have spent at least six days in a non-risk country without developing symptoms before entering Costa Rica, will be exempt from having to get the yellow fever vaccine. 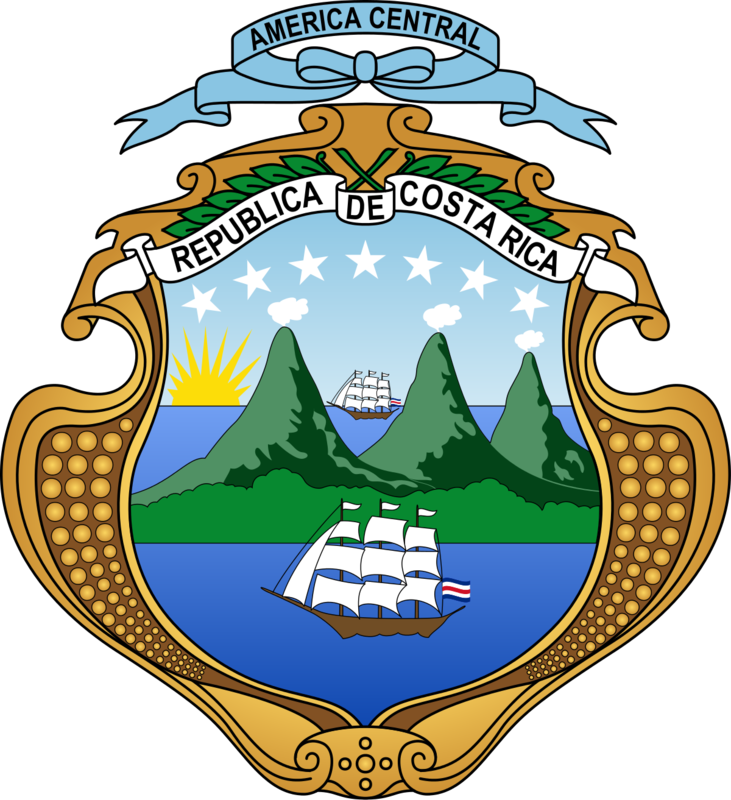 In the case of people with contraindications for the Yellow Fever Vaccine and who are nationals of countries at risk, they will be exempt from having to get vaccine but will have to provide, before entering Costa Rican territory, a valid medical opinion supported by the health authority in the country from where they are from. The Yellow Fever Vaccine will be mandatory for everyone except people with the following contraindications, typical in relation to said vaccine: people younger than 9 months, severe egg allergy, immunosuppression and thymic disease present or in their medical history. There must be a medical assessment of the pros and cons of vaccination on people with the following conditions: over 60 years of age, pregnancy, lactation, family history of adverse events associated with the yellow fever vaccine, hypersensitivity to gelatin and asymptomatic HIV infection, with laboratory verification of adequate immune system function.